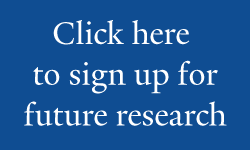 You can sign up if you are a current Yale staff or student (undergraduate, graduate, or professional) with a valid Yale email address (usually firstname.lastname at yale.edu). When you sign up, you will complete a short pre-survey. If you complete this survey you will be eligible to win a $100 Amazon.com gift card (chances of winning 1 in 100). You can then sign up for future lab sessions. You have no obligation to participate in future studies. Average earnings of at least $15 per hour. 1. How and when will I get paid? After completing a session at the BRL, you will be paid in cash by the Lab Manager. The drawing for the Amazon.com gift cards for signing up takes place about once per month. 2. How is my confidentiality protected? All personally identifying information (name, email address, etc.) is hidden to researchers. The code you received upon sign up (which also appears in the “My Profile” section of your account) is the only information that will be used to identify your responses. 3. I've changed my mind and don't want to be signed up any more. What do I do? Participation is completely voluntary and you may close your BRL account at any time. Please email isps.brl@yale.edu from your firstname.lastname at yale.edu email address with the subject line “Delete BRL Account.” When you close your account, your pre-screen responses will be deleted. The BRL is located in ISPS, 77 Prospect Street, room D036. To participate in a session, follow the signs posted outside of the ISPS entrance between 87 and 89 Trumbull Streets. 5. How can I conduct research at the BRL? The BRL is available for research by current Yale faculty members, students, and research affiliates. If you are interested, please send an email to isps.brl@yale.edu with your name, affiliation, and brief project description. The Behavioral Research Lab (BRL) is a place for scholars from across Yale to conduct rigorous research in a controlled setting. Researchers will be able to deliver rich media content, conduct behavioral games, and field surveys in sessions held at the BRL. Participants will learn about important social scientific questions and techniques while being compensated for their time. The BRL connects scholarly research with the broader goals of ISPS, deepening our understanding of behavior and its consequences for politics and public policy. The director of the BRL is Professor Gregory Huber. The lab manager is Molly Offer-Westort, a Ph.D. candidate in the department of Political Science.